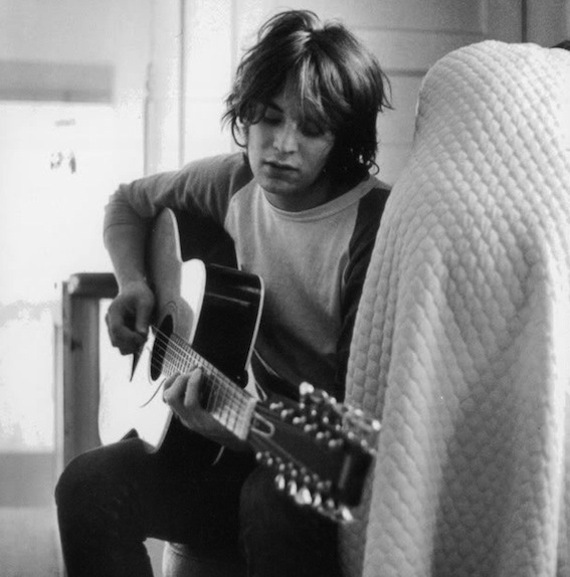 There is an understood snarl to much of Alex Chilton’s latter work beginning with Big Star’s Third/Sister Lovers. While it was certainly detectable on the group’s first two LPs, it was in no way so pronounced…so visceral. “My Rival,” culled from Chilton’s 1979 solo debut, Like Flies On Sherbert, makes no bones about this. The gloves are off—tonally, lyrically and in his delivery, Chilton pulls no punches. Reflecting on this period of his life, Chilton is quoted (in Robert Gordon’s It Came from Memphis) stating (his) “life was on the skids, and Like Flies on Sherbert was a summation of that period. I like that record a lot. It’s crazy but it’s a positive statement about a period in my life that wasn’t positive.” Listening to Sherbert, in all its ramshackle beauty, in the context of that quote makes a lot of sense, and “My Rival,” in its three minutes and change, sums it up pretty well. Such a beautiful album, so screwed, intense, hilarious and powerful. The title track is my favorite, but “My Rival” and “Boogie Shoes” do funny things to me, too. It’s Alex Chilton. Enough said. Amazing guy. I was too old to catch the Big Star rebound in college, so I’ve only gotten to know his work since he died just a year and some change ago. I was just leaving New Orleans the day he passed away.